Partylite is a direct seller of candles, candle holders, home decor and accessories. 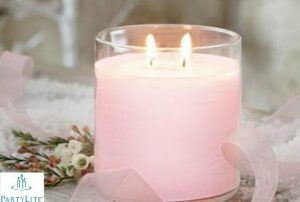 Founded by a woman named Mabel Baker in the early 1900’s, Partylite is the first company to sell candles and candle accessories. It entered the Canadian market in 1992. Today, Partylite boasts as the Leading Marketer for home fragrances, accents and decors. With over thousands of consultants worldwide, Partylite is truly a brand of it’s own. In the beginning it was just candles, but today, Partylite offers a huge array of different candles, fragrances, melts, decorating items, gift sets, occasional decorations and even have Two Sisters Gourmet on their product line-up. Two Sisters Gourmet by Partylite recommends Breads and Cheeses, Desserts and Beverages, Salsas and Sauces, Seasonings and Game day Bites recipes. Truly an evolution of inspiration throughout the century. Products are sold through it’s tens of thousand Partylite consultants all over the world with over 400 products. You can become a Partylite consultant and start in 3 ways: Schedule a starter show at no out-of pocket cost, gather orders at no out-of-pocket cost or purchase a starter kit for only $99. Partylite is known as the world’s largest direct seller of candles and home fragrances.